In the latest released version 2.19.20 of Whatsapp Messenger for iOS devices, A Biometric Authentication section "Face ID and Touch ID" is introduced to improve privacy of messages and entire usage of the App. According to Whatsapp, the "Touch ID and Face ID" feature is indeed to protect a user from someone to reads his/her messages. 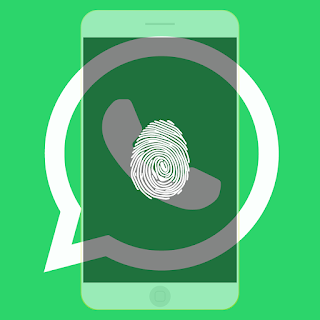 This means that if you enabled the Face and Touch ID feature on your device no one can open your Whatsapp messager without passing the verification phase; thus, requires your attention to do that. Go to Settings > Account > Privacy > Screen Lock and turn on Touch ID or Face ID. Select the timer required for the Face and Touch ID protection to be prompted after Whatsapp is closed. That all, your Whatsapp is now biometrically protected.